We have made great strides in the treatment of cancer. More individuals are surviving a cancer diagnosis, but cancer treatments can have a detrimental impact on cardiovascular health. 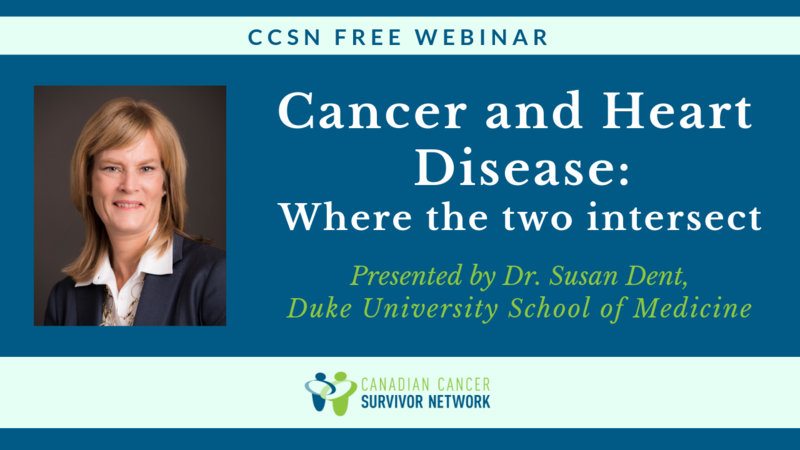 Dr. Susan Dent, a medical oncologist who co-founded the first multidisciplinary cardio-oncology clinic in Canada, discussed the importance of optimizing cardiovascular health for patients during and following completion of their cancer treatment. The webinar was followed by a question & answer session. The slides are available on our Slideshare account here.